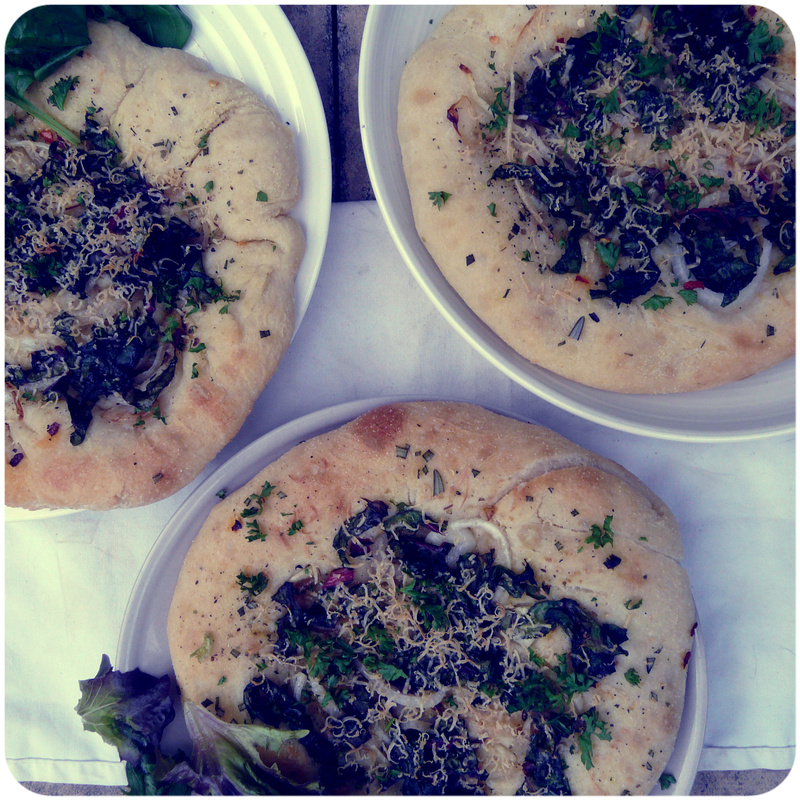 Chard, garlic, onion and herb pizzas- no tomato sauce. Fresh chopped parsley for garnish. Wake up nice and early and whisk together your flour, sugar and yeast in a mixing bowl. Make a well in the center of your dry ingredients and add the water, salt and oil, stir well and knead lightly in the bowl for about 4 minutes, shape into a ball. Grease a bowl with olive oil and toss the dough in the bowl, cover with cling film and let rise for about 1-2 hours until doubled in size. Punch the dough down and chuck in the fridge for 5-8 hours (leave it whilst you’re at work if you’re not a bum like me). Take the dough out the fridge about 30- 40 minutes before you want to bake the pizzas, preheat the oven to 210c/410c and get on with the toppings. Saute the onions in a little oil until softened, add the chard and just saute until wilted. Pop in a bowl to cool. Separate the pizza dough into 4 pieces and shape into a bowl. stretch the dough out with your fingers, pushing the dough out from the middle and transfer to a greased baking sheet. Mix the olive oil with the rosemary and mixed herbs and brush over the pizza bases with a pastry brush. Sprinkle a little sliced garlic on each base, followed by nutritional yeast, a pinch of salt, a pinch of red pepper flakes and a pinch of fresh ground black pepper. 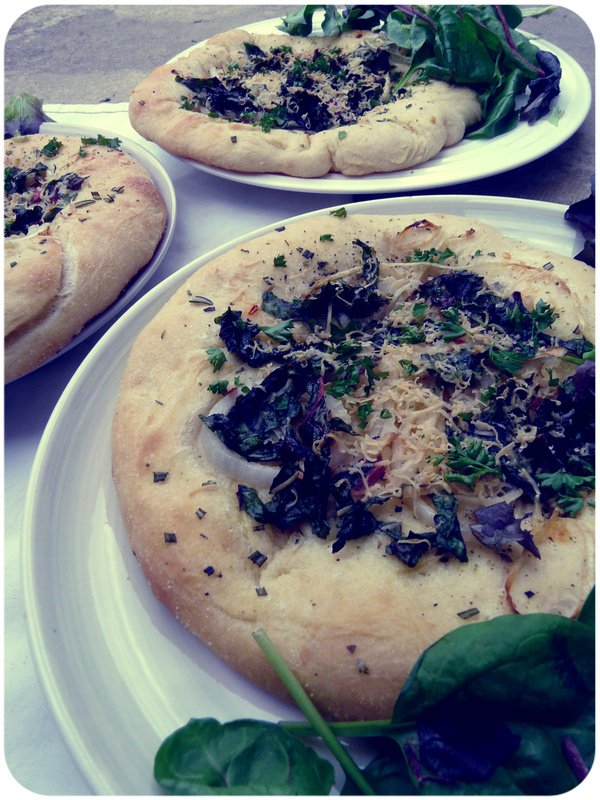 Top with the chard and onions and smoked vegan cheese. Bake for about 18-20 minutes until the edges are golden and your starting to get dark brown patches and serve alongside some lightly dressed salad and garnish with fresh parsley. 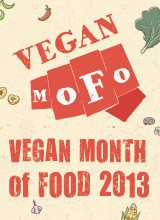 This entry was posted in Breads, mains and tagged baking, bread, food, pizza, recipe, vegan. Bookmark the permalink. Your pizza’s rock! I love the fact that there is not a tomato sauce! I am using Swiss chard from my garden in here! Yummmmmm! Oh wow, this recipe just made me realize I am hungry. That dough looks heavenly! So thick and golden 🙂 Mmm.